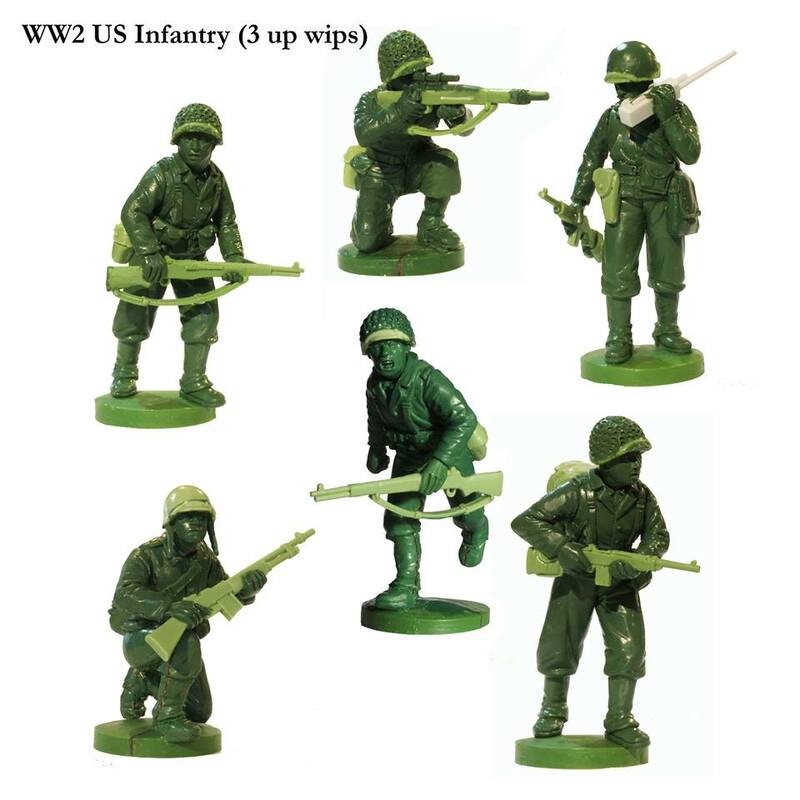 Perry Miniatures haben neue WW2 Preview Bilder gepostet. 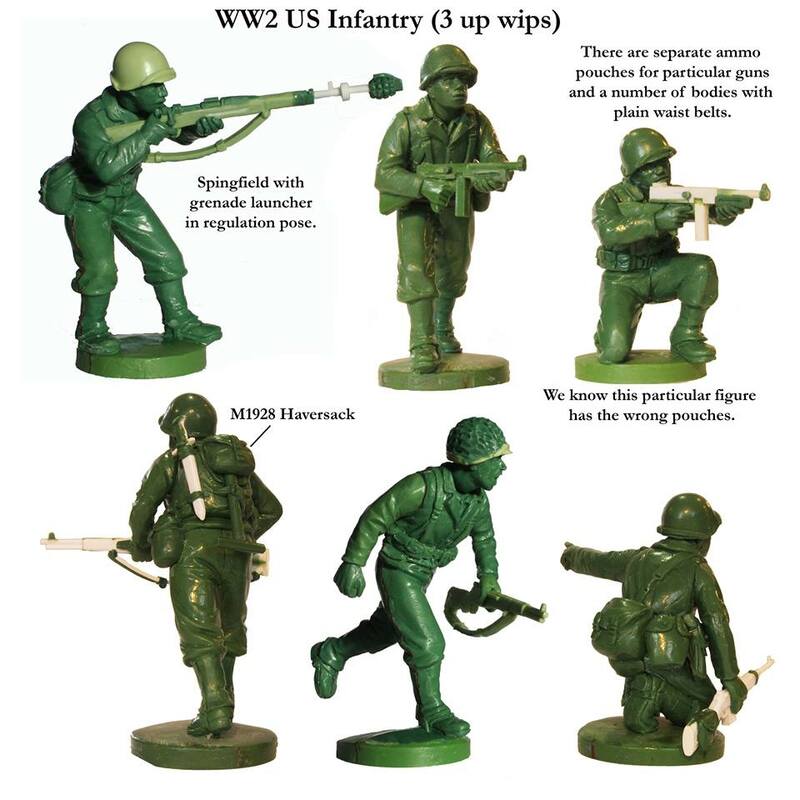 The next 28mm plastic project after the Agincourt mounted knights are Michael’s WW2 US Infantry. We don’t have a release date for these yet as they have just been sent to Renedra. They represent standard American GI’s from Tunisia to D Day. 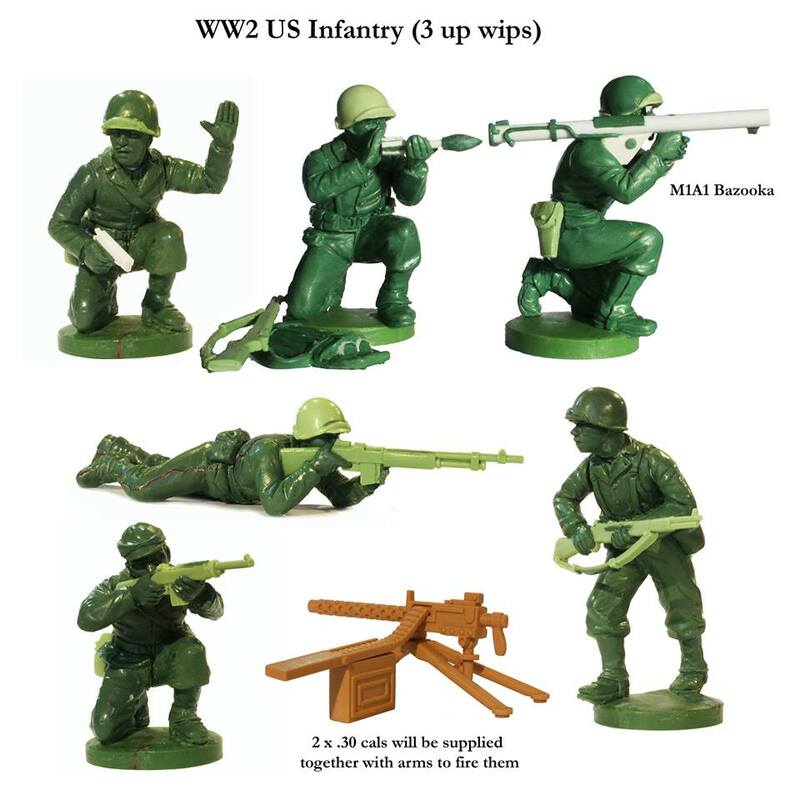 There will be 42 figures in a box which will allow you to build a full strength platoon and HQ with additional fire power of two .30 cals supplied, should you need it. There are 15 different body positions, including 3 kneeling and 2 prone, all with separate heads. There will be 37 x Garands, 3 x Springfields, 6 x BARs (double the amount you need but encase you want to up gun your platoon as some did later in the war), 8 x Thompson SMGs, 6 x M1 Carbines, 2 x Springfield sniper rifles, 2 x M1A1 Bazookas, 2 x Grease guns and 2 x pistols. Rifle ammo pouches are attached to some bodies but others are left without and separate pouches for each gun supplied. Not all the bodies and arms are shown in these photos.